AUBURN | William P. Dolan, 71, of Auburn, passed away unexpectedly Sunday morning, March 31, 2019, in the comfort of his home. 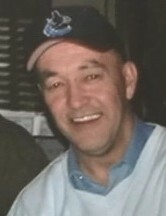 He is survived by his loving sons, Jeffrey (Amy) Dolan and Michael (Kristine Federico) Dolan, all of Auburn; three beloved grandchildren, Carly, Maggie, and Kevin Dolan; sister, Patricia Treat, of Auburn; two brothers, James “Smiley” (Pam) Dolan, of Auburn, and Tom (Jaci) Dolan, of Ann Arbor, Mich.; mother-in-law, Florence Easton, of Florida; brothers-in-law, Edward Charles, of Auburn, Thomas (Lynn) Easton, of Florida, and Gerard (Sue) Easton Jr., of Baldwinsville; sister-in-law, Valeta “Lolly” (Robert) Kennedy, of Pennville; as well as several nieces, nephews, cousins, aunts, and his very close friends, Tom and Ann Payne, Mike and Marie Didio, and Jim and Pat VanOrman. In addition to his parents, Bill was predeceased by his wife, Eileen “Snooky” in 2017; a sister, Maureen Charles, and more recently a brother-in-law, Thomas Treat.